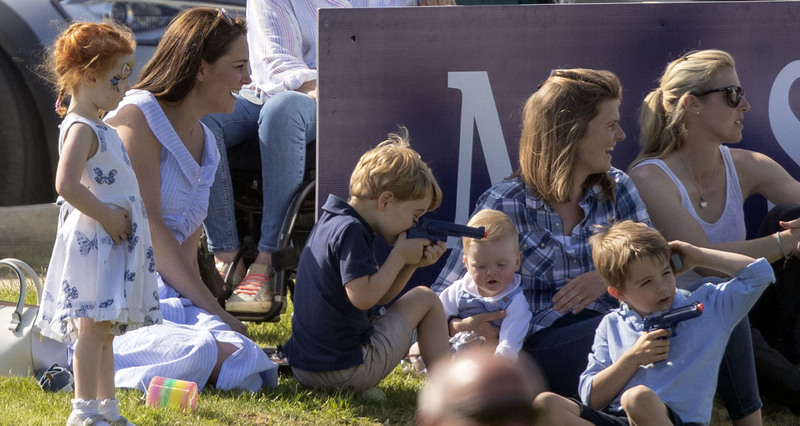 Yesterday, (June 10), Prince George and Princess Charlotte were pictured with their mum, The Duchess of Cambridge, watching Prince William, The Duke of Cambridge, take part in a charity game of polo. Like most kids on a day out, Prince George was keeping himself entertained by bringing along a toy to play with. I’m sure all parents have been there – bargaining with their kids after dragging them to an event they probably don’t really want to be at, by saying ‘ok, you can bring one toy and that’s it’. It’s a common trick, compromising with your kids to get them out the house. Prince George probably has a lot of toys to choose from. I imagine he’s got more than just your average Action Man or box of Lego. 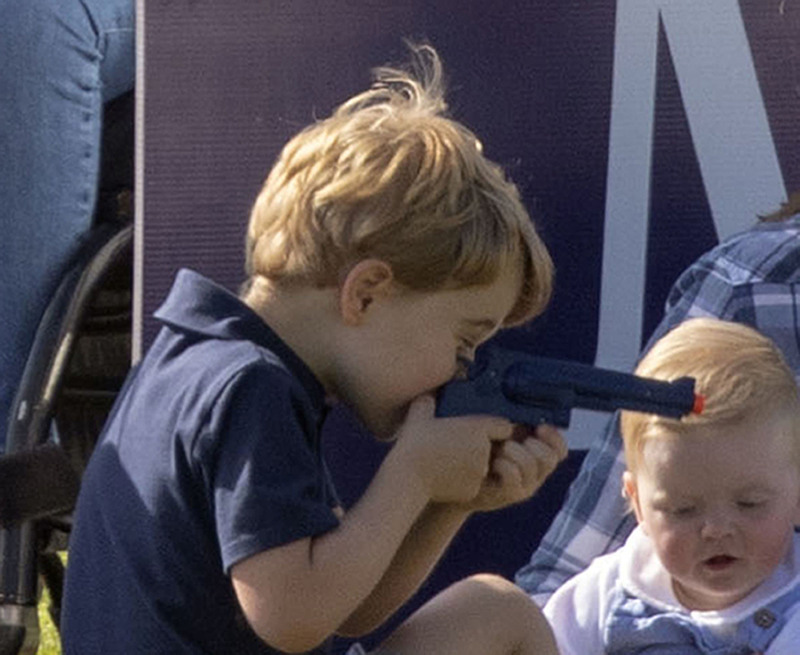 However, on this particular outing, Prince George chose to bring along a toy gun to play with. And, as pretty much everything the royals do attracts attention, some people were not very happy with his choice. 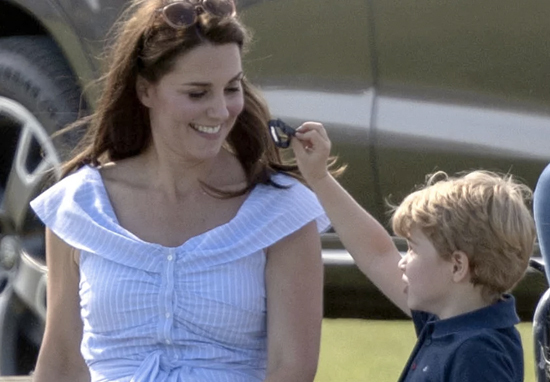 As Metro reports, the family were pictured as William took part in the Maserati Royal Charity Polo Trophy at Beaufort Polo Club in Tetbury, Gloucestershire, on Sunday, June 10. Kate and the children were sitting on the grass as William played with a toy gun, a toy knife and handcuffs. The royals have a military history, and Prince George’s dad and uncle have both served time in service. George himself, however, is known to have a fascination with the police. On a visit to Finland last November, William met Father Christmas in Helsinki and was on a special mission to present Santa Claus with a Christmas list from his son George, which featured one request – a toy police car. The newest member of the royal family, Prince Louis, was not with his siblings at the polo match. It was a busy weekend for the royals, as they also celebrated the Queen’s official birthday on Saturday, June 9, with the Trooping the Colour parade. Yet this time, it was George’s sister who caught people’s attention, as she took a tumble on the royal balcony during the event, but recovered like a boss – with a bit of help from her mum. While standing on the balcony at Buckingham Palace on Saturday, (June 9), along with the rest of her relatives, the three-year-old appeared to slip. The royal children all seemed to be in good spirits – falling over aside. Prince George was the talk of the day as well after being shushed by his cousin, Savannah Phillips, who quite frankly, stole the show. The Trooping the Colour parade in London takes place every year to mark the Queen’s birthday. This year, it was her 92nd birthday. Prince Philip, who turns 97 on Sunday, retired from royal duties last year and wasn’t present at the military parade.